Unmatched Handling . Ultimate Versatility. The Timbersled ARO 120 turns riders into explorers. With its high-flotation 120" track and sharp-handling Traverse Ski, the ARO 120 is at home in the powder, on a steep sidehill and cornering on hard-pack. 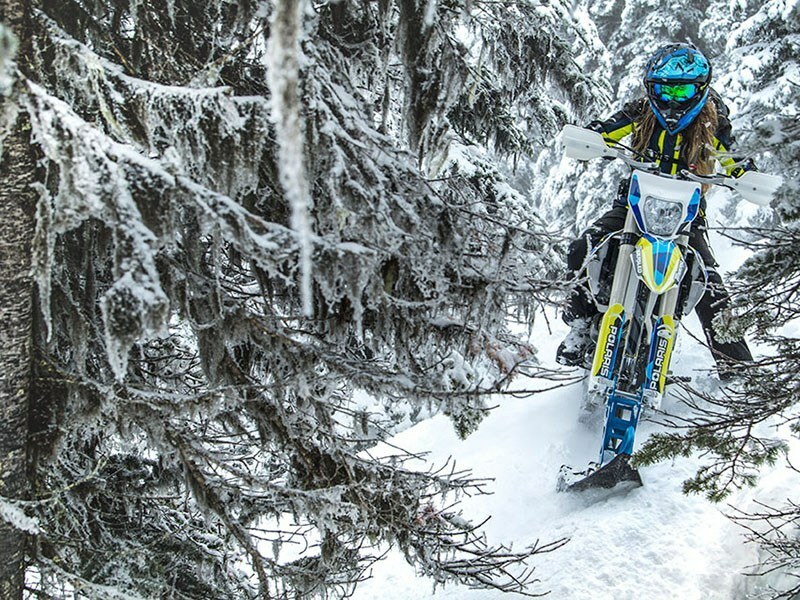 The ARO 120 is the ultimate do-everything snow bike system. ARO CHASSIS: The chassis is narrower, more agile and 11 pounds lighter, which enhances the handling and minimizes rider fatigue. 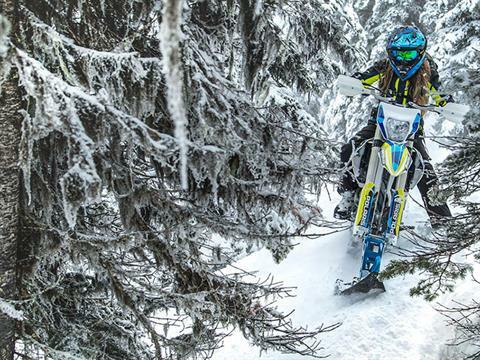 The ARO Chassis also features a raised drive shaft to improve lift and gets the bike up on top of the snow quicker. 1:1 SKI TO TRACK RATIO: The consistent 11.5 in. width of the ski and track allows for more confident handling. 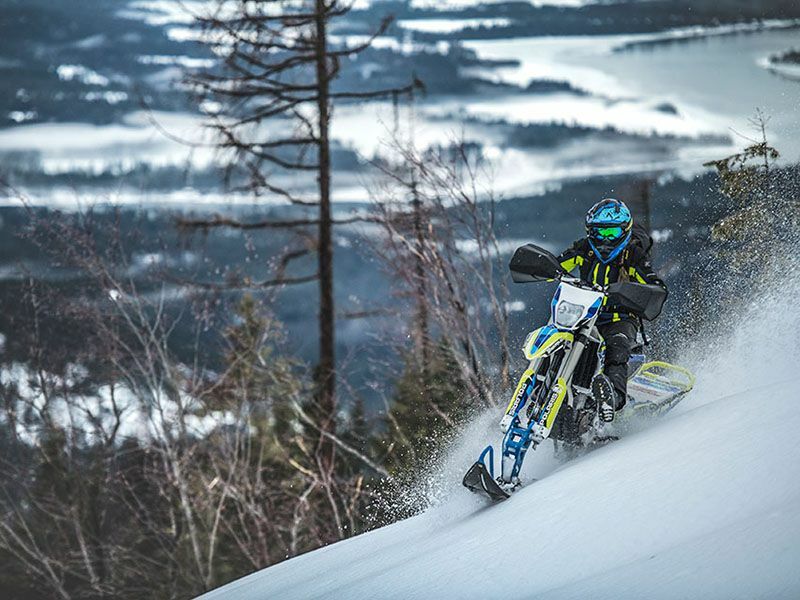 The track follows the line established by the ski for precise sidehilling and carving. ARO REAR SUSPENSION: Our new rear suspension combined with a raised driveshaft, allows the ARO to mimic the feel and performance of your dirt bike. The new suspension geometry delivers 30% more front track shock travel and 2 in. more overall suspension travel. The track approach angle is optimized for improved lift in deep snow. Comes with FOX® ZERO Pro® shocks. TRAVERSE SKI: Designed with an aggressive tri-keel shape and all new skags for better grip and precise handling. This new ski allows for better lean angles on hard pack and more control in deep snow. TRAVERSE TRACK: Narrower 120 in. 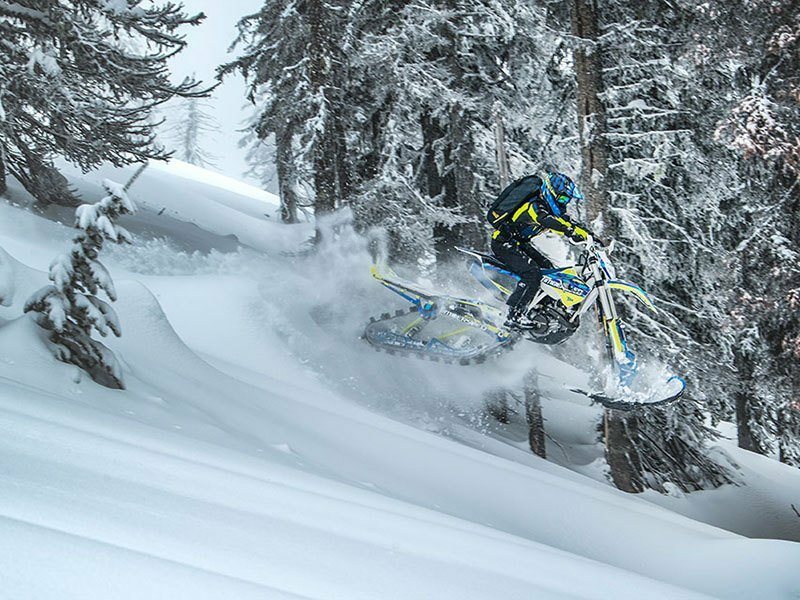 track features optimized window placement along with an adjusted gear ratio which increases track speed and provides more power to the snow. With better climbing and increased traction, this convex track design is easier to lean and steer. SHIELDED BRAKE SYSTEM: Complete, pre-bled brake system. Shielded design provides consistent braking performance across all bike brands and weather conditions. EASY INSTALLATION & CONVERSION: The ARO platform is built around a true bolt-on design making it the easiest to install and convert. 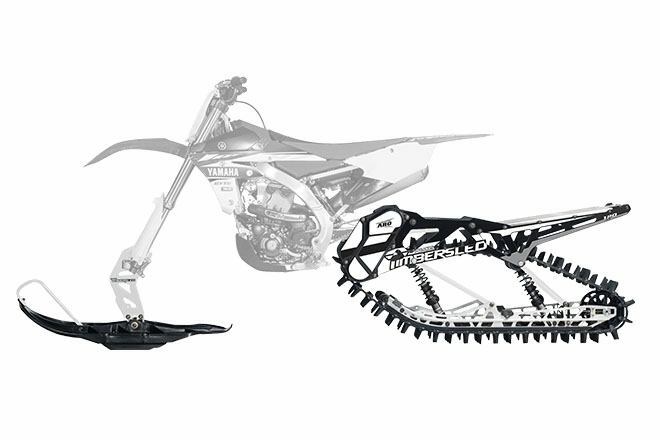 The pre-bled brake system combined with no modifications needed for install translate to quicker, easier conversions from dirt to snow - and back again. ARO SPINDLE: Universal design for all bike brands. Direct bolt-on design - no drilling required. WHAT’S INCLUDED - ARO 120: 120 in. Traverse Track, Traverse Ski, EK X-ring chain, Spindle, Shielded Brake System. Requires TSS or Solid Strut Install Fit Kit. 120 x 11.5 x 2.5 in.